Review by Neo: It is always a good feeling when you expect nothing and somehow out of the blue a good little surprise comes to our doorstep. This is exactly the feeling that the current reviewer is enduring through after witnessing the latest from the Wong Jing Factory in the form of Hong Kong Bronx. Movies about triads are quite possibly one of HK’s most cliché yet interesting genre, while the current flick provides nothing new to the already crowded genre; Hong Kong Bronx is a surprisingly enjoyable triad flick, all the way till the cliché finale. It is almost truism to say that 90% of HK lacks a smashing ending, look no further than Best Picture winner – The Warlords. Still, the ride till the last 10 minutes is certainly worth journeying through and being a Wong Jing production, it is really double the surprise criteria. 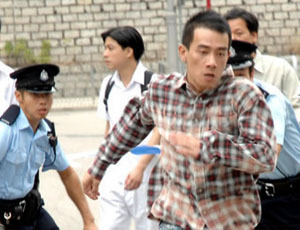 Jordan Chan is one of the most underrated actors alive in the industry and after a more than disappointing display in the atrocious triad flick (Who's Next), Chan redeems himself as a Chan Ho Nam wanting to become Andy Lau. Glance no further than the final sequences, where Chan mimic the lines of Andy Lau in the now classic Infernal Affair’s rooftop scene. Still, Chan is sympathetic enough for the audience to feel for his character and the scene in the car where he is holding onto two of his raped and abused sisters, is certainly a memorable one. The face is suitably acted without over doing it, that any lesser actor would have and the effect is making the movie better than its genre cliché material. Directed by Billy Chung, the person behind last year’s above average Undercover, this flick is certainly efficient and perhaps the only real problem lies in the artificial redness of the blood and the lack of risks that are being undertaken. The use of cartoon sequences to emphasise the bloodlust scenes is at first funny, but as it get overused, the effect is pretty much discerning. Noting the fact that this technique is nothing new, as Young and Dangerous used it so often and so did one of Neo’s favourite Hollywood flicks in the likes of Sin City. 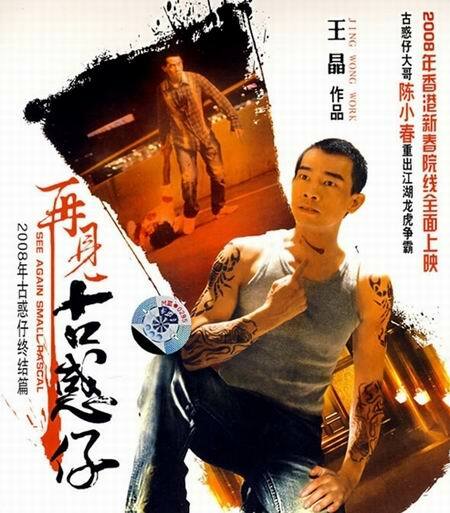 In terms of the other actors, Johnny played by (Kenny Wong Tak-Bun) is too one-dimensional in a carbon copy role as the main villain wanting to take control of the triad group. More effective is Wong Jing’s dad in his usual role of Godfather which he has done to perfection in films like Election 1 & 2. Perhaps, Wong Jing should take a leaf out of his father’s effortless acting style when he becomes the older Wong’s age. As for the two sisters, they are on the edge type of cute, but apart from that they really have nothing much to do. Former TVB starlet (Winnie Leung Man-Yi) as a rare chance at films, but is nothing more than one-dimensional. The last but not least is Timmy Hung, who alongside Chan steals the show.